By many measures, Antarctica is the last continental frontier. Although less than 2% of Antarctica’s geology is exposed through ice cover, coastal and mountain exposures demonstrate an ancient ancestry tied to early crustal growth and supercontinent evolution. 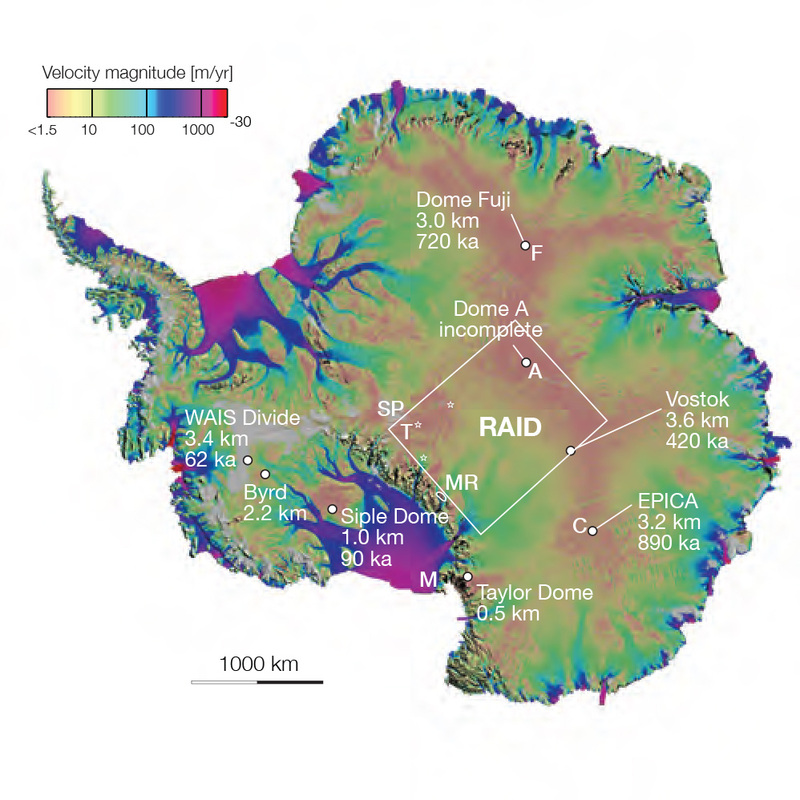 Marine records and general circulation models suggest that the major ice cap of Antarctica nucleated by ~34 Ma, but the interior structure of the ice sheets are poorly known, and major questions remain about their expanse and persistence over time. Existing ice cores provide a paleoclimate record reaching back ~800 ka, but there may yet be older ice that preserves a record of critical climate transitions over the past 1.5 Ma. Knowledge derived from a variety of disciplines likewise points to important linkages between the solid earth, atmosphere, cryosphere and biosphere, but our understanding of these interdependencies is derived from only a tantalizingly small body of data. 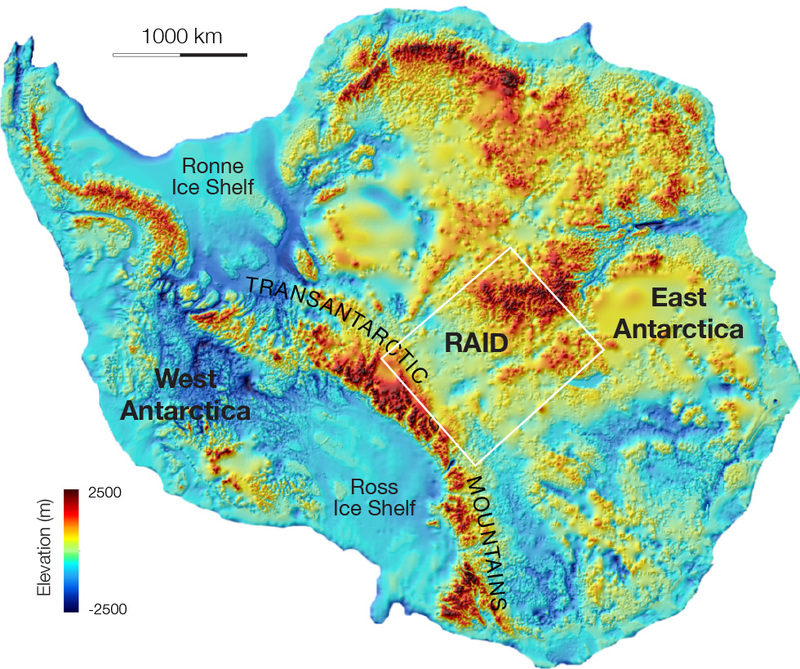 RAID is intended as an ice and rock drilling system that can give the scientific community access to a richer record of change on a variety of timescales, from the billion-year rock record to thousand-year ice and climate histories. In doing so, we hope to fill in a deeper understanding of this critical but poorly-understood frontier area. Since the time of the International Geophysical Year in 1958, scientists have pushed ever deeper into Antarctica, both across and through the major ice caps. Now, decades later, Antarctica remains a cryptic but accessible natural laboratory in which to study a polar continent and its overlying ice sheets, subglacial mountains, and subglacial lakes. The linked geologic, glacial and hydrologic elements of this integrated system play a critical role in global climate changes currently underway, and detectable changes in Antarctica provide a measure of the broader climate variation. A better understanding of the relationships and feedbacks between these elements is possible through multidisciplinary research in geology and geophysics, glaciology, paleoclimate, and microbiology. 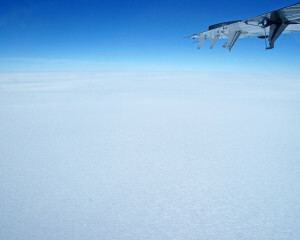 Modern studies provide revealing glimpses of the ice caps and lithosphere below, enabling us to map temporal-spatial variations and speculate on operative dynamic processes. As articulated in a recent report of the National Academy of Sciences, “Future Science Opportunities in Antarctica and the Southern Ocean” (Zapol et al., 2011), Antarctica presents a unique opportunity for focused research on climate change in a polar continental setting. However, because Antarctica is larger than the U.S. and Europe combined, the vast scale offers both scientific and logistical challenges. 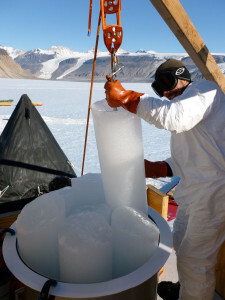 One of the greatest impediments to our understanding of dynamic change in the Antarctic earth system is our inability to obtain samples at the deepest levels of the ice caps. Changing global climate is a key motivation for future research generally, and Antarctica is central to this as both a recorder of past changes as well as a sensitive witness to changes currently underway. Rock, sediment and ice all harbor critical information about past changes to the landmass, ice caps and climate system in Antarctica on a variety of timescales. 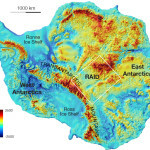 Access to deep (therefore ancient) ice and bedrock geology over large areas of the Antarctic interior will allow scientists to address a wide range of interdisciplinary goals, including, from top to bottom: (a) documenting the presence of Eemian-age ice to test models of ice sheet collapse in West Antarctica (~125 ka); (b) understanding the mid-Pleistocene transition from 40 kyr to 100 kyr climate cycles (by sampling ice as old as ~1.5 Ma); (c) evaluating the thermal, mechanical and biological conditions at the base of the ice sheets; (d) exploring the deep interior geology of Antarctica for the first time, including the characterization of geophysically-imaged geological features; and (e) testing models of cratonic growth related to supercontinent assembly in the Mesoproterozoic (~1 billion years ago). 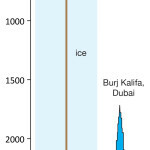 Can we find 1+ Ma ice and, if so, what paleoclimate information does it contain? What is the current dynamic behavior of the major ice caps? What are the physical conditions and material properties of the ice-rock interface? Do interior sedimentary basins record ice sheet onset and relative stability? Is there life at the base of the ice sheet? What is the nature of the Antarctic lithosphere, and how does it affect the growth and stability of the overlying ice sheets? 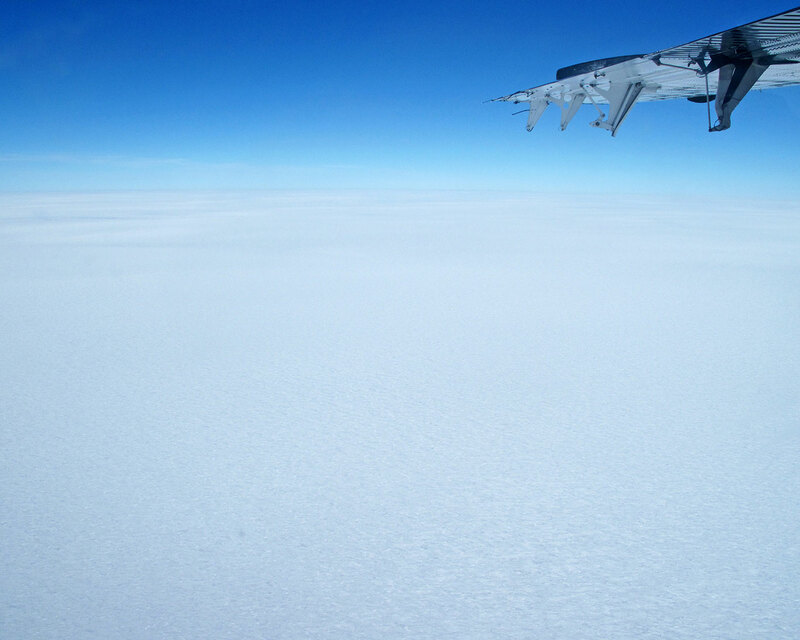 By providing access to the deepest parts of the Antarctic ice sheets, RAID has the potential to be scientifically transformative. Such a drilling platform — mobile, fast and capable of coring both deep ice and bedrock — offers the U.S. Antarctic Program unprecedented access to critical parts of the coupled cryosphere and solid earth. RAID therefore represents a significant technological step forward for glaciological, paleoclimate and geological research. As emphasized in the report on “Future Science Opportunities in Antarctica and the Southern Ocean” (Zapol et al., 2011), both discovery-driven research and global change research are hallmarks of RAID. This new drilling platform supports the vision of future Antarctic research by deploying new sensors, creating remote observing networks, enhancing interdisciplinary research, and providing data and samples that can constrain earth system models. In addition to its interdisciplinary focus, RAID is also designed to be autonomous, lightweight, and environmentally benign. These design parameters for RAID reflect a need to economize and add efficiency to activities within the U.S. Antarctic Program, as highlighted in a report on “More and Better Science in Antarctica Through Increased Logistical Effectiveness” (Augustine et al., 2012). Borrowing the catchphrase “lean, mean, and green,” a central theme throughout the RAID design process has been to build in operational autonomy, independence from airlift support, compact and lightweight traverse capability, nimble and swift operation, energy efficiency, low environmental impact, minimal staffing, and minimal footprint of scientists in the field.